Victoria grew up in South Yorkshire and moved to Liverpool to study for her undergraduate degree in Law and Criminal Justice. She later obtained a LLM in Public International Law at The University of Nottingham before completing her BPTC at Nottingham Law School where she achieved the grade of very competent. Victoria was awarded the Winston Churchill Scholarship Prize from the Honourable Society of the Middle Temple. Prior to joining the Bar Victoria was a Legal Executive Criminal Advocate and worked for a Yorkshire based criminal defence solicitors firm for several years. Victoria represented clients in the Magistrates Courts and managed a wide range of Crown Court cases including multi-handed cases, high value drug matters, cases involving historic sexual offences and murder cases. Alongside this Victoria also provided legal advice and representation to clients at police stations. Victoria undertook a criminal Pupillage at 39 Park Square under the supervision of Nick Adlington. 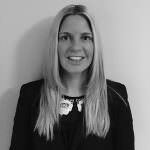 Victoria joined Chambers with significant experience in criminal law. She continues to expand her practice in this area and has also developed a wide and varied practice before the military Courts. Victoria is a member of the CPS Grade 2 Panel. Victoria is regularly instructed by the CPS to prosecute cases before the Magistrates Courts, Youth Courts and Crown Courts across the North-Eastern Circuit. Victoria has successfully prosecuted cases involving serious assaults including GBH with intent, knife point robberies, drug matters and a range of sexual offences. Victoria also frequently undertakes private prosecution work. Her regular clients include the National Probation Service, train companies and local Councils. Victoria is regularly instructed as a defence advocate and represents defendants before the Magistrates Courts, Youth Courts and Crown Courts. Victoria will accept instructions for a wide range of hearings including first hearings, guilty/not guilty pleas, sentencing hearings and trials in the Magistrates and Youth Courts. She also accepts instructions in all types of matters proceeding before the Crown Courts, including appeals. Victoria is a fierce advocate in Court, however she is constantly able to quickly gain the trust and respect of defendants through her down to earth, honest and straight forward approach. Victoria understands professional clients want to know the outcome of cases and she will send a detailed attendance note within 24 hours of the conclusion of the hearing. Often, she will report back to professional clients via telephone much sooner. Victoria is regularly instructed to represent service personnel before the Courts Martial and Courts Martial Appeal Courts. She accepts instructions to act in Court Martial Centres in the UK and overseas for all types of hearings. Victoria understands the impact disciplinary matters and criminal charges can have upon the careers and personal lives of service personnel. She has first-hand experience of serving in the armed forces. Victoria has gained a reputation in Court as a fearless advocate who robustly represents clients at a wide range of hearings. However, she remains approachable and applies a down to earth attitude when dealing with clients. Victoria provides clear and understandable legal advice and keeps clients updated throughout their case via face to face meetings, over the telephone and/or via email. Victoria enjoys all things fitness related especially running, road cycling, hiking, mountain biking and skiing. Victoria is also a keen traveller who particularly enjoys travelling to none touristy places to experience the local cultures and traditions.